Two UK security firms have paid over $200,000 in fines for illegally making hundreds of thousands of calls to people registered on a government no-call list. Some of the calls included dubious claims of local crime waves or “free” equipment with hefty installation prices, according to complaints reviewed by IPVM. Because the illegal activity took place before GDPR implementation, the new regulation played no role in this case. However, the fines are a reminder of the legal risks of direct marketing and the possibility of even stricter government enforcement/fines for violations occurring after the GDPR. The calls were made to phone numbers registered with to Telephone Preference Service (TPS), a government registry which bans unsolicited marketing calls. Neither firm screened the numbers they called up against the TPS registry before making the calls, a practice that is illegal in the UK. The calls sparked a flood of complaints to the ICO. Some complaints mentioned that callers from SHS, in particular, made doubtful claims about crime waves and hefty install fees. ICO deemed these calls and the companies’ ignoring of hundreds of complaints a clear violation of the Privacy and Electronic Communications Regulations or PECR of 2003. In October 2018, A.C.T. Response was fined £140,000 (~$180,000) and SHS was fined £80,000 (~$102,000). By accepting the verdict and paying early, the firms ultimately paid a reduced fine of £112,000 ($143,000) and £64,000 ($82,000) respectively, the ICO confirmed to IPVM. Both firms ceased all direct marketing calls once the ICO began its investigation, said the ICO. A.C.T. 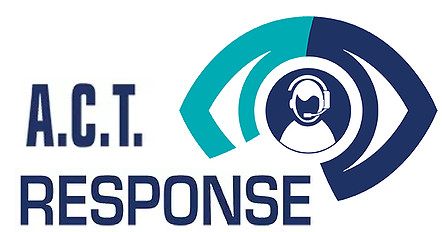 Response used a variety of tactics to evade detection, the ICO stated, such as getting its sister company to actually make the calls and telling its cold callers how to deal with people on the TPS list. According to the ICO, SHS did not use such "deliberate" evasion tactics, although it did find the firm "negligent" for ignoring publicly-available ICO guidance on direct marketing. These fines should set alarm bells ringing and deter marketing companies across all sectors that are contacting people without their consent. It is a company’s responsibility to make sure that it has valid consent to make these calls. The TPS is there for a reason – to protect people’s privacy and ensure that marketing companies obey the law. Marketing companies failing to take the basic step of checking TPS can expect robust enforcement. IPVM contacted both firms about these fines asking specifically why they decided to rely so heavily on direct marketing, but received no response. 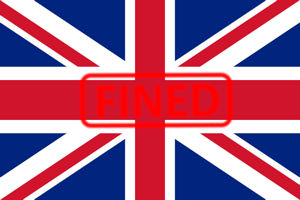 Getting fined for violating the TPS registry is not uncommon in the UK. Just 3 weeks after these fines, the ICO fined two other (non-security) firms for making over 1 million illegal calls to TPS subscribers. However, IPVM couldn't find such fines being applied to other UK security firms recently. Direct marketing is also regulated by the government in the US, which has a similar list to TPS called the National Do Not Call Registry. Violators of the registry can technically be fined over $40,000 per call by the FTC. Last spring, the FTC filed charges against Alliance Security Inc., a home security firm, for making "more than a million" unauthorized calls to people on the registry. The case is ongoing but has been temporarily halted due to the government shutdown. In the UK, local authorities in Hampshire County have warned residents against cold calls from unspecified home alarm firms who could be gathering data or selling unnecessary systems. The BBC has also investigated one UK security firm whose salespeople made a number of false claims, including that they had police security clearance. Since the security firms’ direct marketing calls took place before GDPR implementation on May 25, 2018, this case was not tried with the new law in force. That means direct marketing violations taking place after May 25, if done on a particularly egregious scale, could reach the significantly higher monetary penalties levied by the GDPR – a maximum of 4% of annual revenue or 20 million euros ($23 million). That’s something any integrator considering direct marketing should take note of.